Whilst being highly professional, having fun is key to form a successful relationship with your work. This is why I feel it necessary to include fun-packed items for others to enjoy. After all, sharing is fun-packed too! 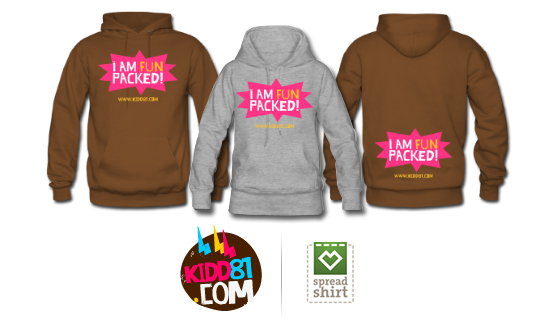 kidd81.com has become a shop partner with spreadshirt.net to produce some exclusive kidd81.com products. I don't wish to make money out of these products so I have put no mark-up on the items I am selling, I just want as many people as possible to wear my designed gear! Please visit visit fun-packed.com to find out more! In addition, I will be sending out FREE fun-packed button badges as part of my re-brand. If you want to own one, then please get in touch.